Through the Recycle for Sight program, the Lions Club has collected used eyeglasses for distribution to less privileged people in developing countries. You can help out in this effort by donating your old glasses and sunglasses. This donation is always welcome at Columbia Vision Center. No Insurance? Consider our Smart Line Collection. Choose from 40 different frames. 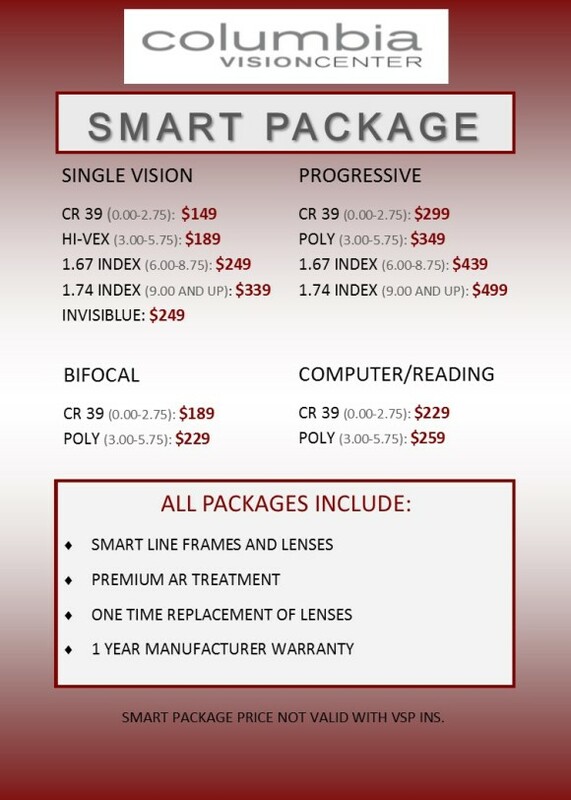 We offer 30% off your second pair of prescription glasses (frame and lenses) if ordered within 30 days of any glasses purchase. How nice would it be to have cool sunglasses, fatigue-fighting computer glasses, or a different, fun style of alternate eyewear!